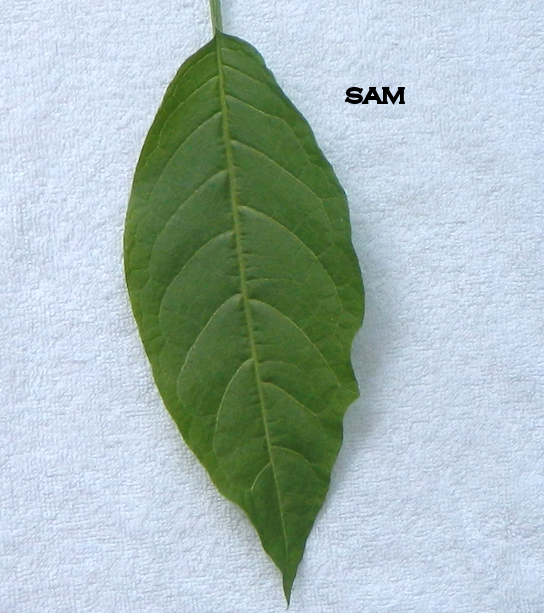 Sam on a warm sunny day in the Greenhouse area. 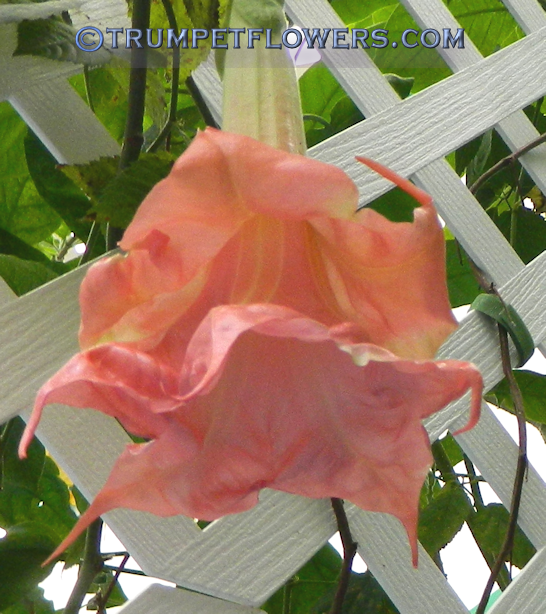 Angel Trumpet Sam is a cross of Klein Lady X Ecuador Pink X Rothkirch. 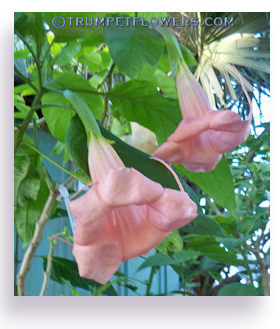 Created by Ludger Schneider, published in 2006. 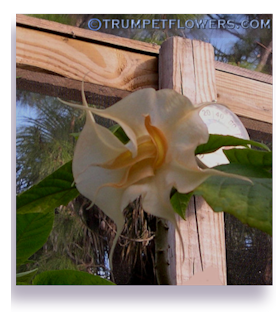 Angels trumpet Sam is excellent for hybridyzing purposes. 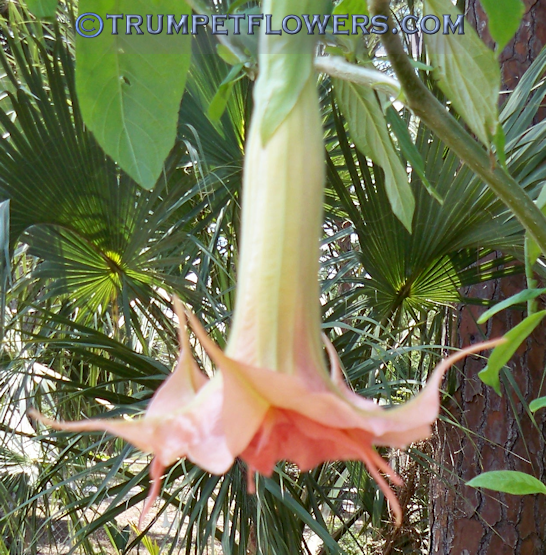 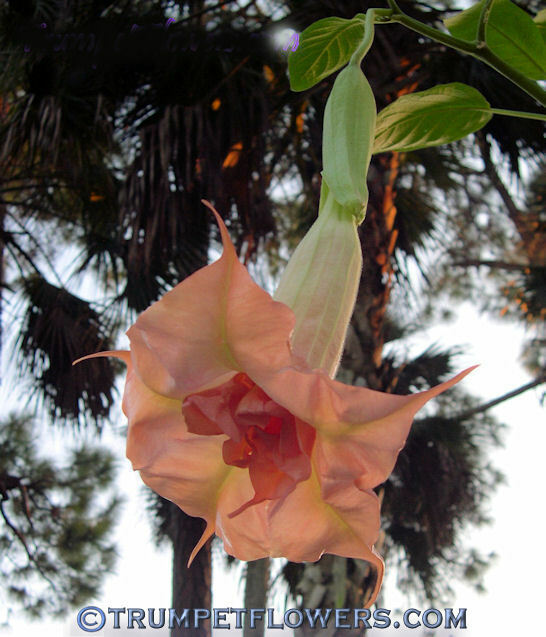 Sam is also one of the larger brugmansias, easily attaining heights of 20 feet if fertilized and water properly. 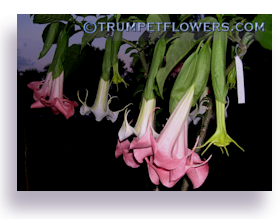 Angel Trumpet Sam has a leathery feeling leaf, that is a bit more oblong than wide, and bright to dark green. 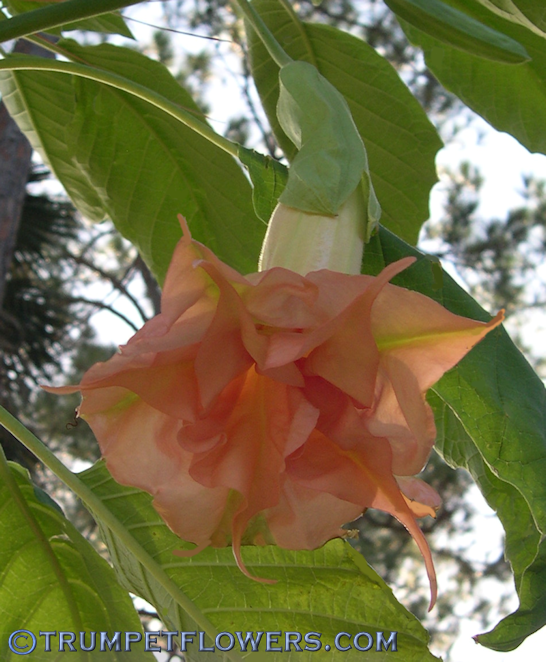 There is a slight tooth to the edge. 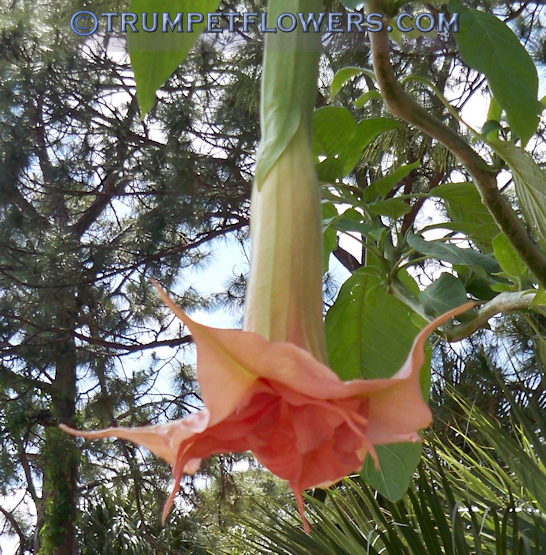 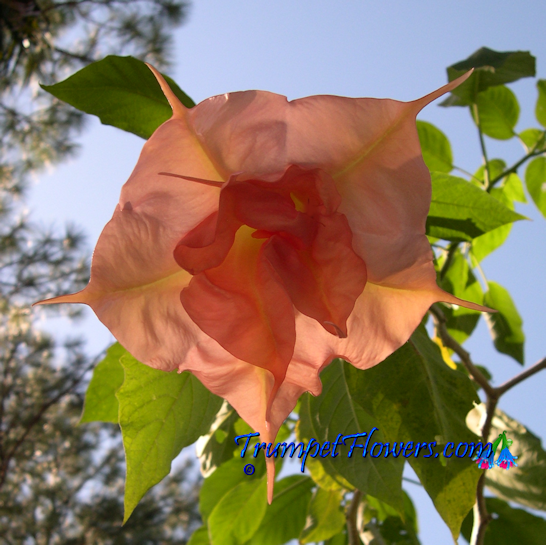 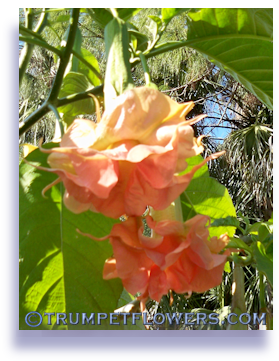 This entry was posted on October 10th, 2012 and is filed under Brugmansia Gallery.